Home - EPG Services - Provider of gas, electrical & plumbing services. Gas Safe Registered and NICEIC Approved engineers for work on your home. Covering the whole of the North West carrying out commercial works of various size. Delivering your project on-time, on-budget, in a safe, clean and efficient manner. Based in Didsbury, Manchester, EPG are your local provider of gas, electrical and plumbing services. Whether domestic, commercial or industrial we provide a comprehensive service that uses the latest technology to exceed the requirements within our field. Our experienced Gas Safe Registered heating engineers, plumbers and NICEIC Approved Electrical engineers are capable of handling all types of electrical, gas and plumbing jobs, irrespective of size and nature of project or problem. Established in 2005, EPG has developed into a cutting-edge, dynamic business. We believe it is important to invest in the region’s young, talented engineers. With constantly advancing technologies, our apprentices are given the best possible support and training to take on new techniques and methods in order to be classed as some of the best young engineers in the country. 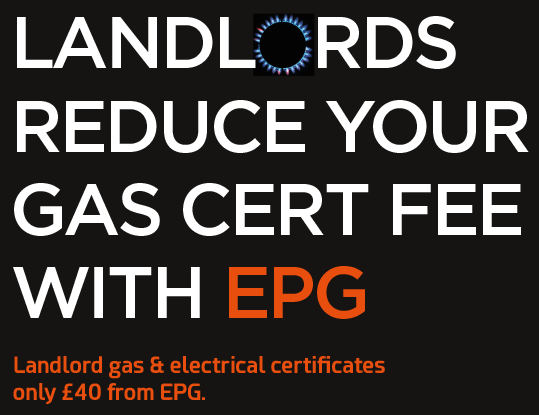 At EPG, we provide Buy to Let Landlords with the necessary safety certificates for landlords to meet legal requirements prior to letting. Covering all areas of Manchester and Cheshire, our landlord gas certificates start from £40 + VAT. EPG engineers are NICEIC and Gas Safe registered. All our engineers work to high standards and have passed thorough inspection procedures. Our industry accreditations also ensure our work complies with British safety standards. Call us today on 0844 3358432 to discuss your requirements. We'd be delighted to chat further with you and book in an appointment at your convenience. Electrical Plumbing & Gas Services Ltd Incorporated in England number: 5517480.